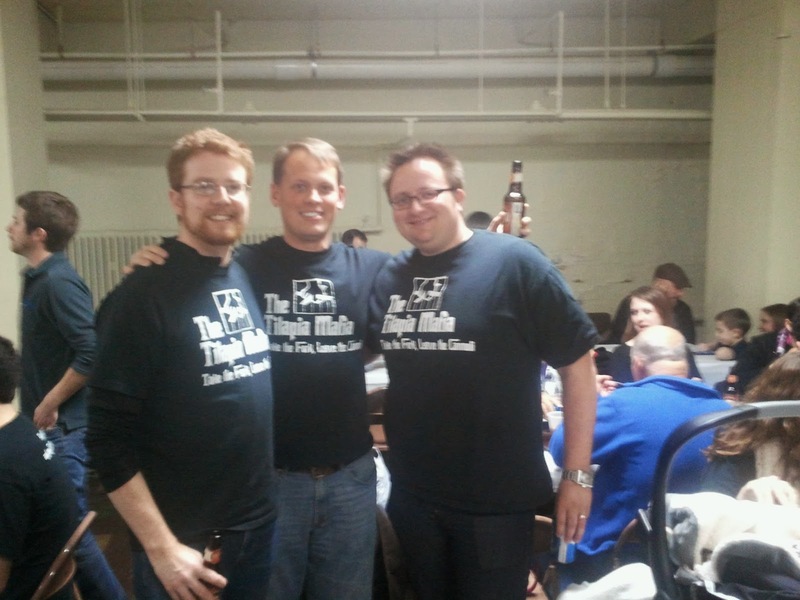 The "Tilapia Mafia" visiting St. Pius. A couple of comments about the places we visited this year. One, we did do a lot or repeats this year. Out of the eight fish fries, five were repeat visits. Of course, a couple of places we hadn't visited in over five years. Second, we were top heavy this year on St. Louis City fish fries. We strive to visit fish fries across the region, but kids activities are starting to encroach on our schedule. We no longer have time to drive 45 minutes out to St. Charles for a fish fry. Fish Fry Guy might be going into semi-retirement the next few years. The days of 8 new fish fries a year are probably over! 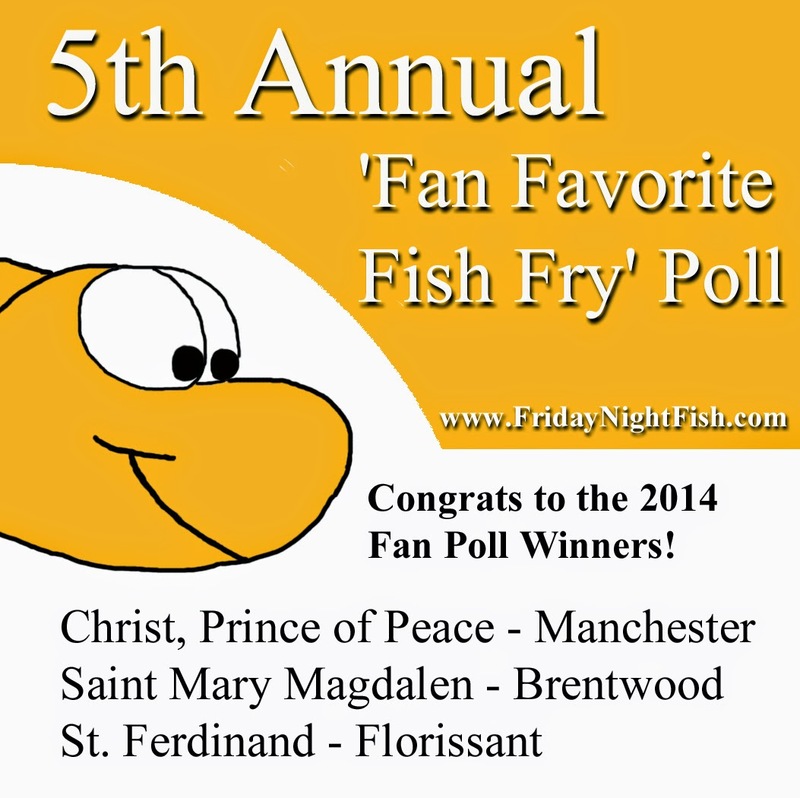 It was a big year for fish fry in the news. The local NPR station did a feature story on why fish fries are so popular in St. Louis! 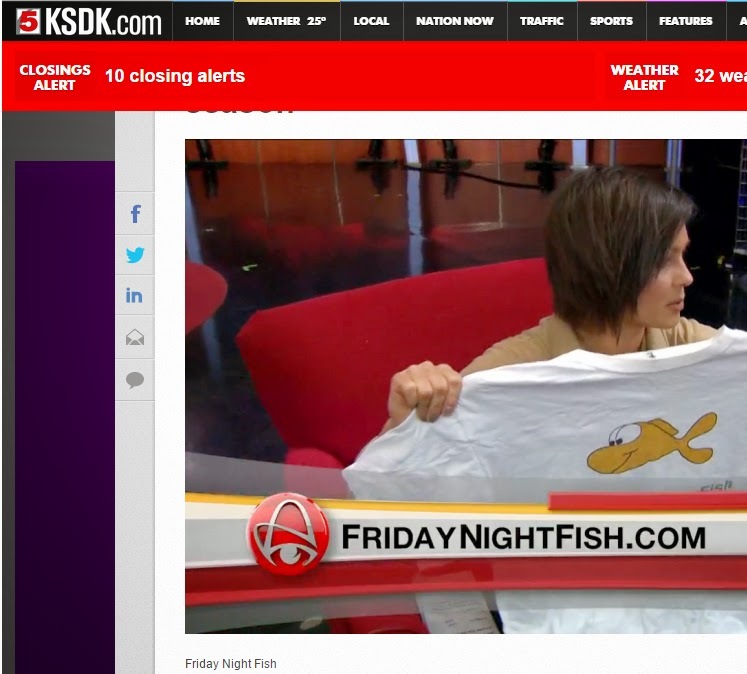 And Friday Night Fish was interviewed for the story! Unfortunately, we were also left on the editing room floor. Probably too many "uhms.." in our interview. Oh well. Click here for a link to the story. More fish fries are having entertainment or other events at their fish fries. 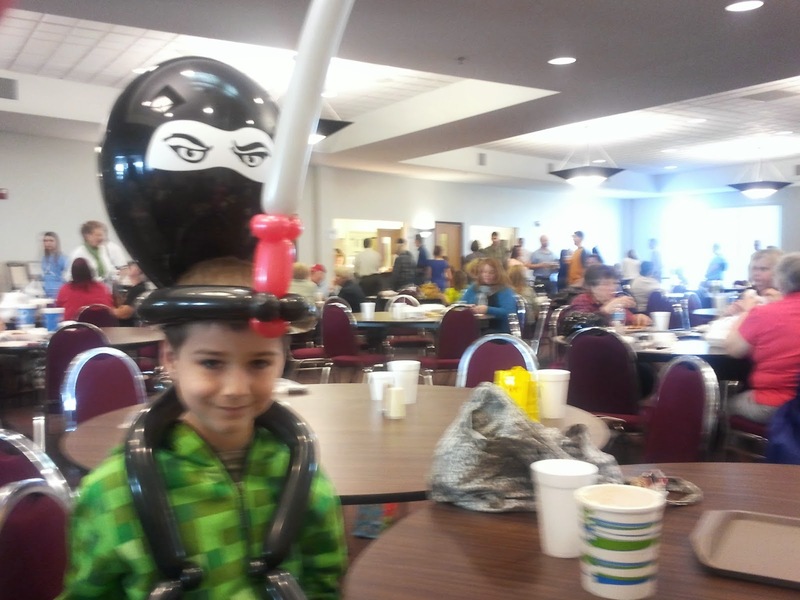 Holy Trinity in Fairview Heights had a balloon artist at their fish fry which was cool. Well, we visited St. Pius. St. Pius has been our number #1 ranked fish fry for some time, and our visit again this year confirms their place at the top. Maybe not the best food out there, but very good. St. Pius excels by using real plates and silverware (and even real coffee mugs!) Plus their live music gives the whole place a coffee house vibe. They are sometimes the victim of their own success and it can get overcrowded. 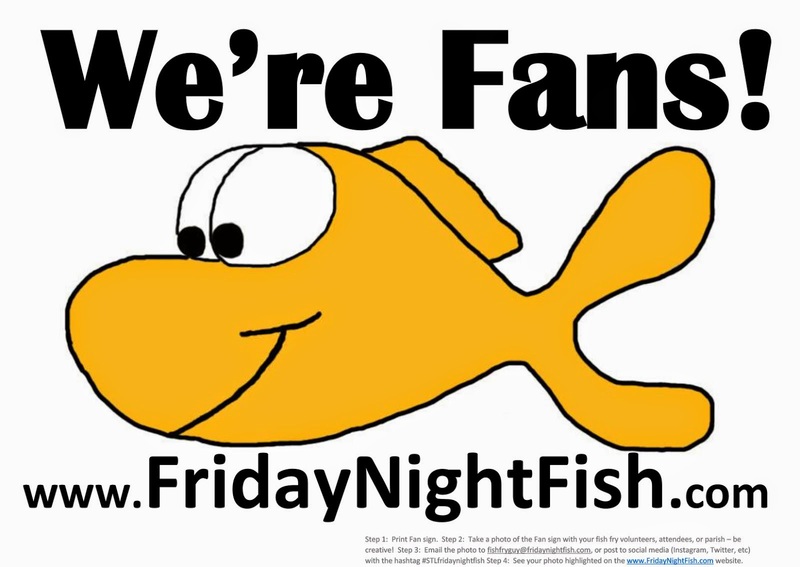 Plus, they usually have a welcome sign for "Friday Night Fish", so we are admittedly biased! Great sign at St. Anthony! A special shout out to St. Anthony of Padua in south St. Louis. They had the best fish fry sign we have ever seen. 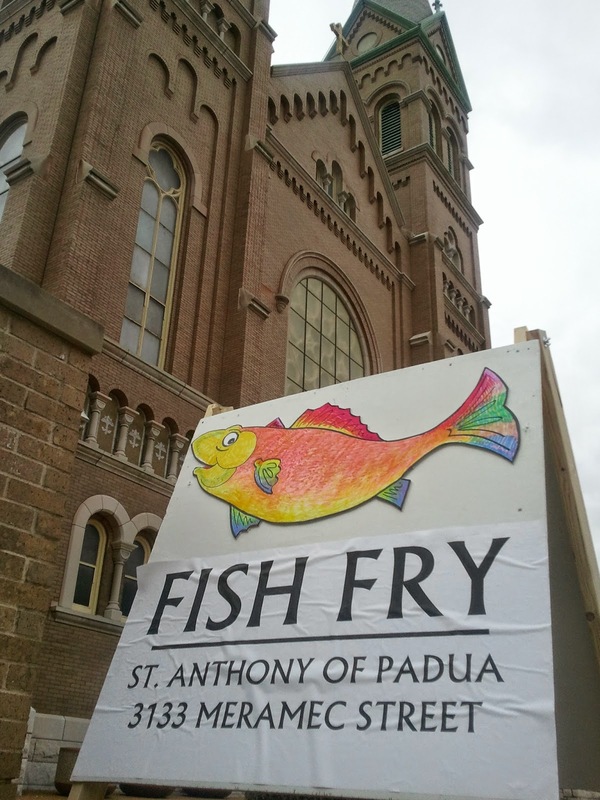 A colorful, artistic fish gracing their fish fry sign on the street next to their fish fry. Well done! As the top Fish Fry Blog in St. Louis, we often get asked for advice (OK, not really). But we did get invited out for Christ, Prince of Peace's "Soft Opening" fish fry earlier this year in Manchester. Christ, Prince of Peace was starting a fish fry this year for the first time. They had a "practice" fish fry and asked us to attend to give feedback. Great fish fry! We are looking forward to another great year in 2015! Be sure to like us on Facebook and continue to send us suggestions for places to visit for a great fish fry. We can't promise we'll make it there soon, but we'll try! See you next year! Dear Fish Fry Guy.......come visit St. Stephen Protomartyr for some delicious fish tacos! !